We’ve been working with Breast Cancer Trials since July 2016. 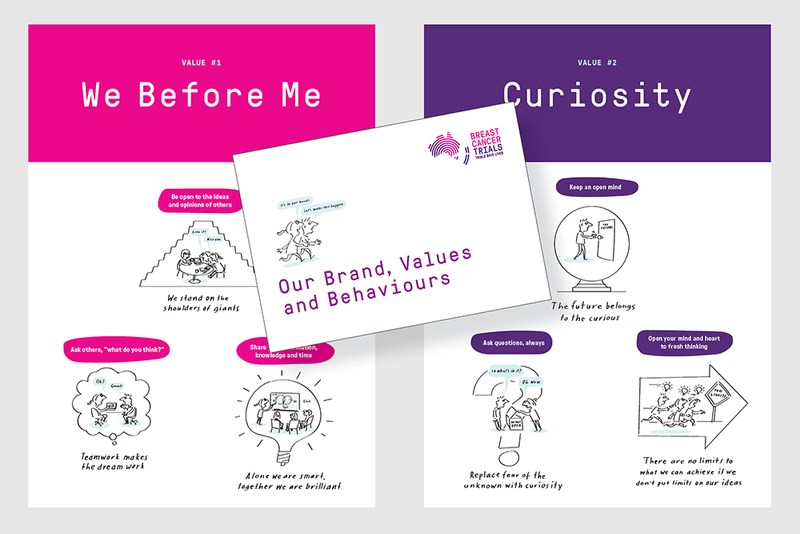 We renamed them, repositioned them, created a new brand identity, launched the new brand on the inside to their people, and produced the public launch campaign hit the proverbial airwaves in October 2017. This is a brand with purpose, and that purpose is simple and compelling. Every day 56 people are diagnosed with breast cancer in Australia and New Zealand. Breast Cancer Trials exists to help every one of them survive breast cancer and get on with living and loving their lives. Breast Cancer Trials have literally saved the lives of millions of people affected by breast cancer since their inception in 1978, and very few people have even heard of them. 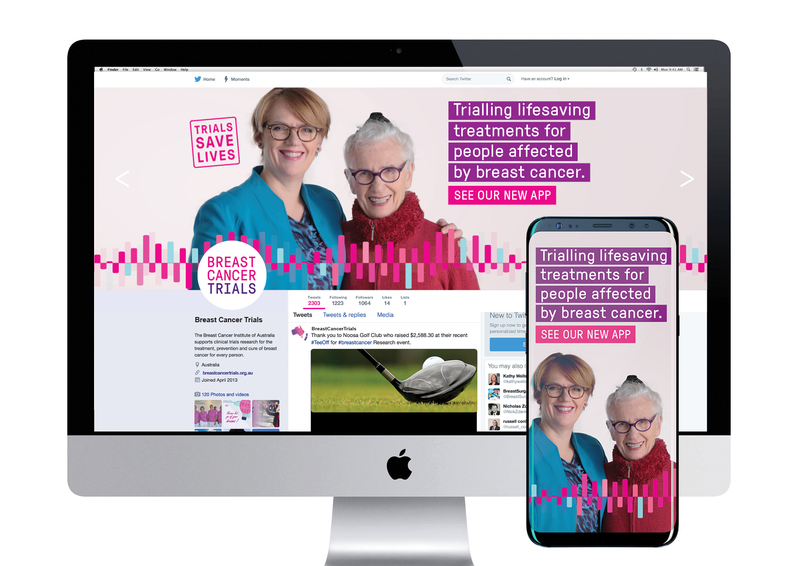 The breast cancer marketplace is a sea of pink, with over 30 different organisations competing for share of voice and dollar in Australia and NZ. It’s a confusing category with most donors and supporters having no idea who is who, where their money actually goes, and/or how/if their donations do makes a difference. We needed Breast Cancer Trials to stand out in this cluttered and confusing world. 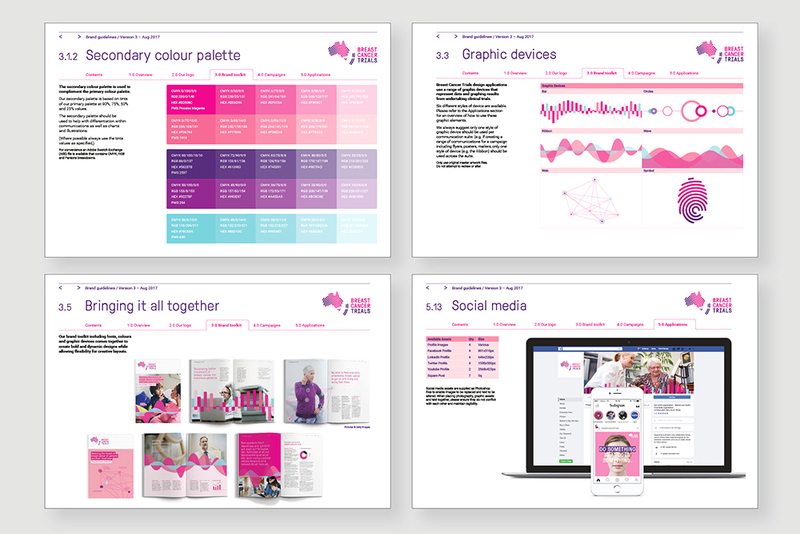 1.We studied the breast cancer marketplace both in Australia/NZ and abroad, and reviewed the brand positioning and promises of every major breast cancer brand. 2.We met with and held deep one-on-one interviews with the members (oncologists & researchers) past and present to get to the core of what it is they fundamentally do, how it’s different from other breast cancer organisations, and the real impact it has on people affected by breast cancer. 2. People diagnosed with breast cancer today will get a treatment that has been proven safe and effective through a past BCT clinical trial. And people who are affected by breast cancer today, and who participate in one of BCT’s trials, will get tomorrow’s treatment today. 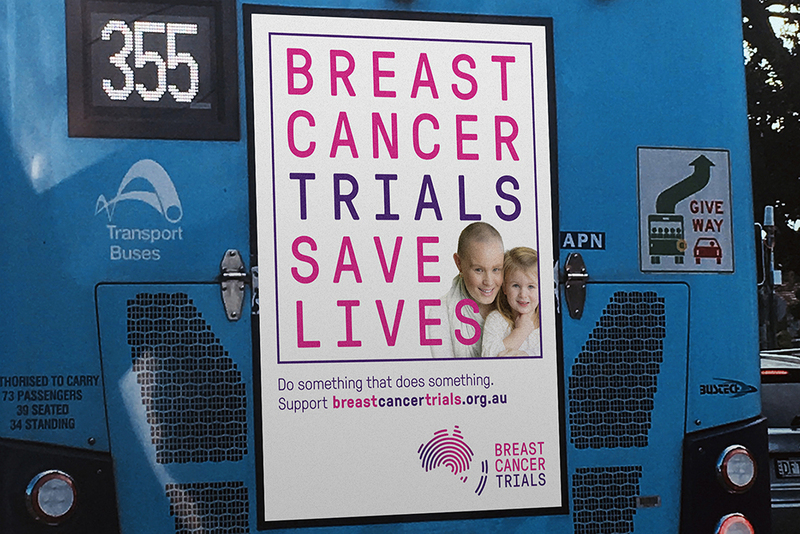 In this way Breast Cancer Trials save lives today and tomorrow. 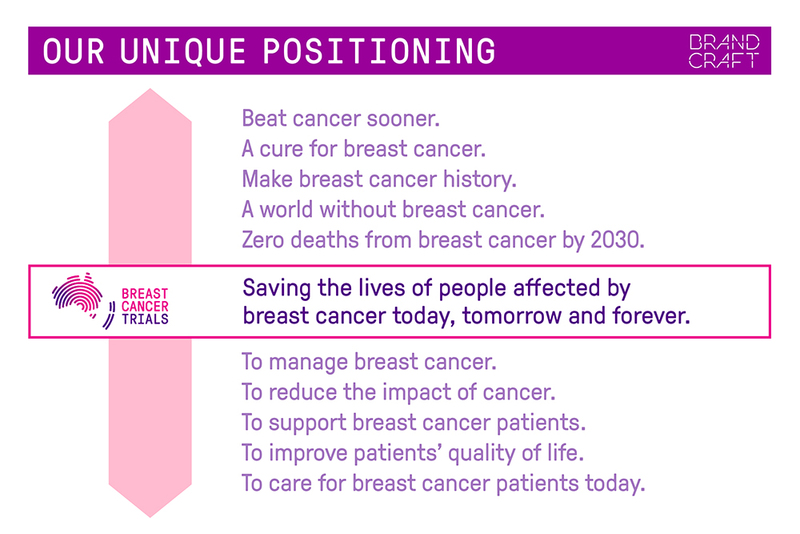 While “we will cure breast cancer one day” is a noble ambition, the positioning for BCT became “we run trials that are saving lives today, not just some day”. 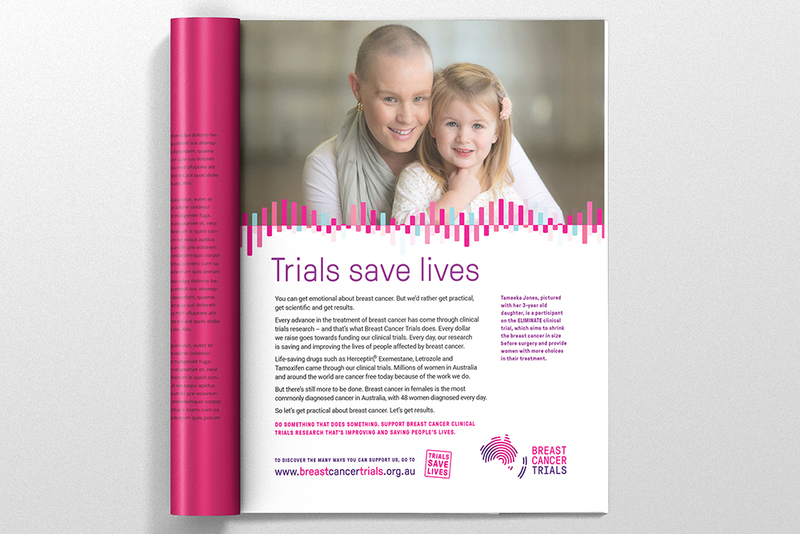 And so “Trials Save Lives” is our brand promise. It’s a pragmatic positioning, and it’s unique in the breast cancer space.